Giving is not limited to financial contributions. Enrich yourself and the lives of our students by giving your time and talent. Be a guide. Be a coach. Be a friend. Be a guide. Be a coach. Be a friend. Individual mentors are matched with Middle School students according to gender and personality fit. Mentors are asked to meet one-on-one with their student twice per month during the lunch hour, and participate in four service projects with all mentors and their students throughout the year. This is a great chance to get to know a student personally, and help direct them through a crucial time in their academic career. There are many practical ways you can make a difference at Cornerstone. Please consider how you can serve from the list of options below and contact our Development Associate to find out more. Facilities Improvement & Beautification: Supplies and equipment are provided. All ages depending on task and project. Library Leaders: Each library session includes reading a story with students, helping them select books, and doing fun activities. Volunteers are also needed to help process and shelve books. Ages 14 and up, depending on task. 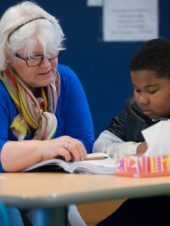 Classroom & Student Support: Either one-on-one or in small groups with students on reading or math skills. Volunteers also can provide support to the teachers in the classroom on special projects, lessons, and more. Ages 14 and up, depending on task. Information Technology and Computer Lab Assistance: Each grade level has computer class, and volunteers can help, especially with K-2nd grade students, in supporting instruction. Ages 14 and up, depending on task. Office Support: The Front Office and Development Office can use individuals to do clerical work, prepare mailings, and other office tasks. Ages 14 and up, depending on task. School Nurse Office Volunteers: Help support our School Nurse and Office Staff by being present with children who are sick or in need of very basic first-aid care. The CCA Parent Association is an opportunity for parents to become invested members in the school community. The Parent’s Association meets on the first Tuesday of every month at 6:00 pm. For more information on how to be involved in the Parent’s Association contact the school office at 215-724-6858. 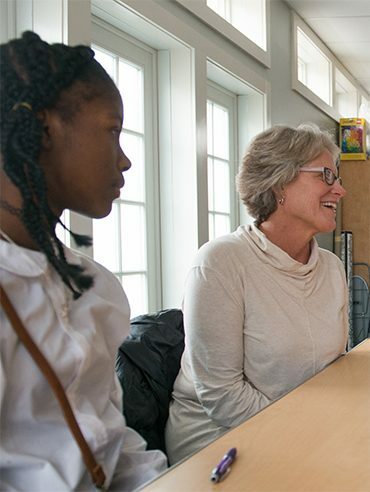 Cornerstone’s Teammate program pairs donors with students to help in achieving their educational goals. Individual teammates make a financial commitment to their student teammate for one or more academic years, while students commit to their best academic work and provide updates throughout the year. In becoming a teammate, you are taking a hands-on role in the transformation taking place here. You commit to providing financial support from $1,500 (partial scholarship), $2,500 (half of a scholarship), $5,000 (full scholarship) to cover the cost for one year for one student. You will have the opportunity to build a long-term relationship with your student. You will receive correspondence from your student 3 times per year. You will be invited to special events during the school year to meet your student and learn about how they are progressing in their classes. You have the opportunity to engage others (friends, family, colleagues) who could also be a Teammate to a Cornerstone student. Your financial donation ensures that our mission reaches as many students as possible, as meaningfully as possible. Find out the many ways to give today. Your financial contributions will help Cornerstone provide a stimulating, safe and emotionally supportive school environment for children. We are ready to help you choose the best way to make a lasting difference in the lives of students at Cornerstone. 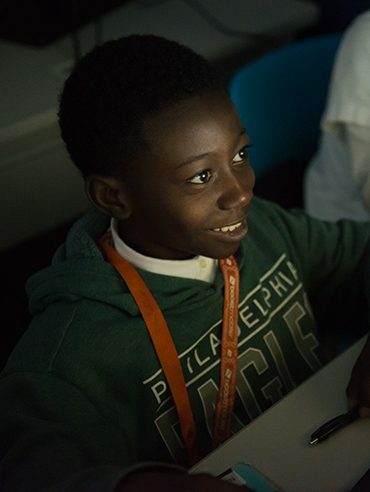 Corporate contributions make a critical difference in the life of a local students, most especially in our Philadelphia community of deserving children and families. 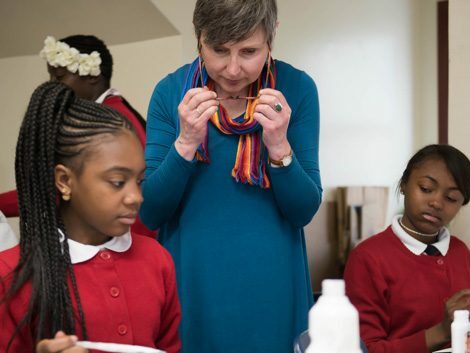 By becoming a Corporate Partner, your company is laying the foundation for young learners who will guide our society and future workforce in years to come. Annual contributions can be made to Cornerstone in support of the school’s Annual Fund to help meet our highest priorities. Funding will be designated to programs and initiatives that benefit our mission, and help us to advance our vision for the community at large. Follow us on Facebook and Twitter to see our students in action! Designated gifts can be made to support Cornerstone's scholarship and academic programs. 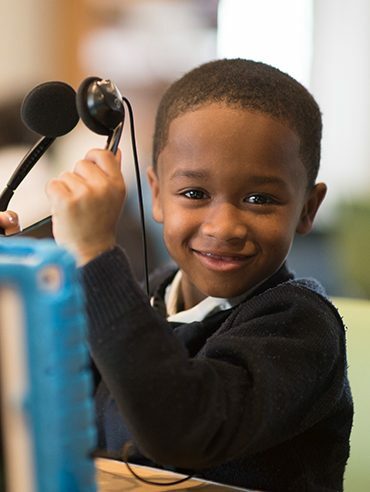 In efforts to support the whole child Cornerstone offers an array of programming to enhance the classroom experience and prepare for students future success. Corporate donations for capital improvement and facilities are essential to Cornerstone’s operations. Tax-deductible general operating contributions are often used to fund campus capital projects and other special initiatives. Cornerstone is an approved Scholarship Organization and your tax dollars may be used to provide scholarships to current students. Pennsylvania’s Educational Improvement Tax Credit (EITC) and Opportunity Scholarship Tax Credit (OSTC) programs are a great way for businesses to reduce their tax liability while contributing scholarships to students at Cornerstone. Sponsorships offer your company the opportunity to visibly expand its involvement at Cornerstone. We offer event sponsorship opportunities, academic and program sponsorship with the goal of education the next generation of talented leaders. Ask if your employer has a matching gift program to possibly double your gift! Both in planning future personal contributions and partnering with United Way of Southeastern Pennsylvania, there are many options for your much appreciated donation. Publicly traded stock, publicly-traded or closely-held securities, mutual funds, EFT Deduction received on gifts; capital gains may be passed on to Cornerstone. Please call the Advancement Office to notify us prior to transfers with the number of shares and type of stock. You may contact Monifa N. Moore, Director of Advancement, at 215-724-6858 ext. 234 or mmoore@cornerstonephiladelphia.com. 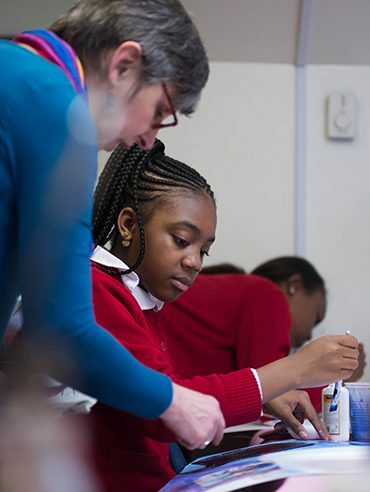 Cornerstone provides a high-quality education to children from the city’s most impoverished communities in Philadelphia and Delaware counties. 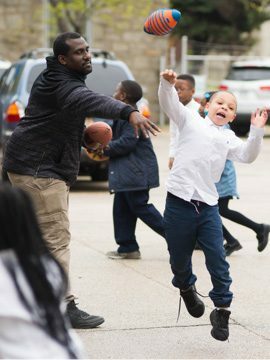 United Way of Southeastern Pennsylvania (www.uwsepa.org) is a regional partner organization that will designate funds to our Extended Care After School and Summer Programs. United Way of Tri-State (www.liveunitedtristate.org) agency #026566. Cornerstone is a Donor Choice Agency, #9616. Bequests, charitable gift annuities, cash and other planned gifts can be made to the Cornerstone Christian Academy Endowment Fund. 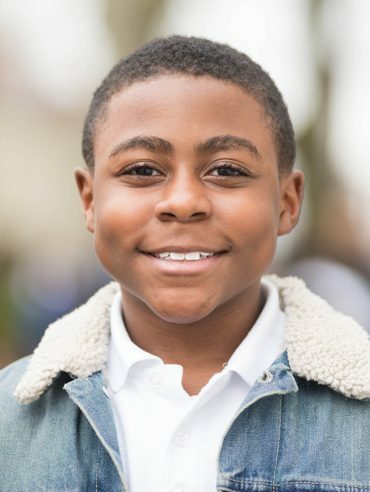 The benefits of a planned gift can include sizeable income and estate tax deductions, favorable capital gains tax, income and a lasting impact at Cornerstone.Leave a legacy and a brighter future for children in need! 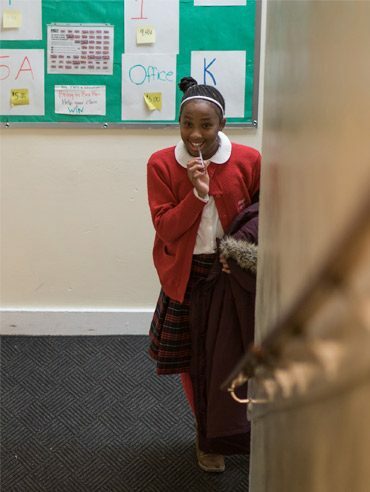 Gifts In-kind will immediately benefit student in and out of the classroom. Support our wish list of equipment, software and subscriptions that positively impact the school’s academic and programs. North Carolina Community Foundation Inc.